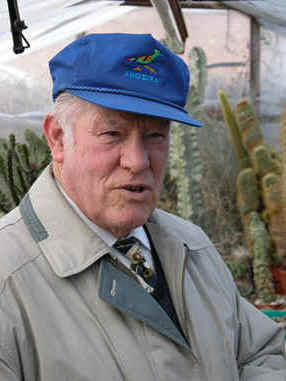 It is with great sadness that I report the passing of a good friend, Doug Rowland, a gentleman of the cactus world. Doug visited the Northants Branch many times with stories of his travels in Mexico and the American Southwest from the days when these were an adventure. He was perhaps more recently known for dealing in interesting seeds (and not just cacti and succulents). He could always be relied on for a few wise words for our branch magazine. We extend our sympathy to his widow Vivi and the family.